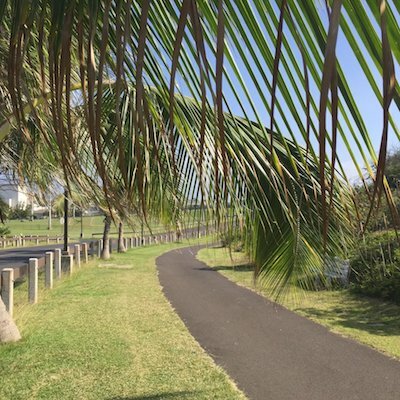 Located on the northern side of the island and near the airport, Keopuolani Regional Park is the largest park on Maui at 110 acres. It’s a good spot to do some off-road running on its couple of miles of paved trails over rolling hill terrain. There are also several fields, and the War Memorial Stadium Complex located across the street, which has a track. 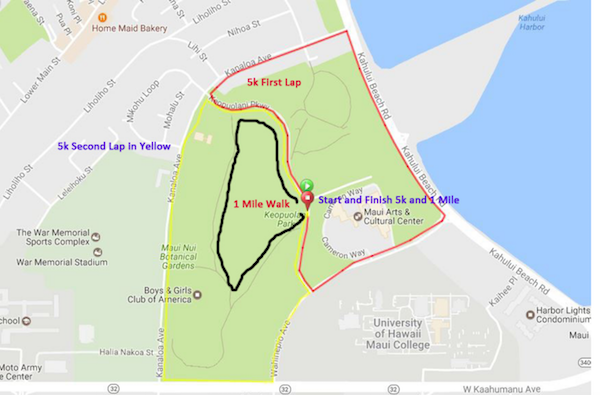 This is a popular site for 5k races — see the map below for the course. A ~1 mile section of the Kahului Beach Rd., bordering the park, is also pleasant for running, with water views and a decent shoulder.